C. Michael Daily is an oil, gas, mineral law, probate, and business law attorney with the long-established law firm of Daily & Woods, P.L.L.C. and is licensed to practice oil, gas, mineral, probate, and business law in Arkansas, Oklahoma, North Dakota and Wyoming. C. Michael Daily can be contacted by telephone at 479-242-3953, by email at mdaily@dailywoods.com, or by regular post at 58 South 6th Street, Fort Smith, Arkansas 72902. 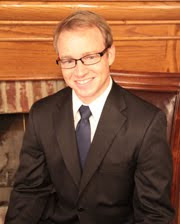 C. Michael Daily accepts oil, gas, mineral, probate and business law cases in all cities in Arkansas. C. Michael Daily represents mineral producers at all stages of production, assists mineral owners with ownership disputes, and represents his clients in state court, federal court and before the Arkansas Oil and Gas Commission. You can follow Oil, gas, and mineral lawyer C. Michael Daily via social network using any of the social network links in the right hand column of the page. Disclaimer: This blog is for informational purposes, is certainly not to be considered legal advice and is absolutely not a substitute for any of the benefits that are associated with the attorney-client relationship.